The Indian Premier League (IPL) franchise, Chennai Super Kings (CSK) skipper, MS Dhoni has been again pictured napping on the airport floor, however, this time he was joined by his wife Sakshi. 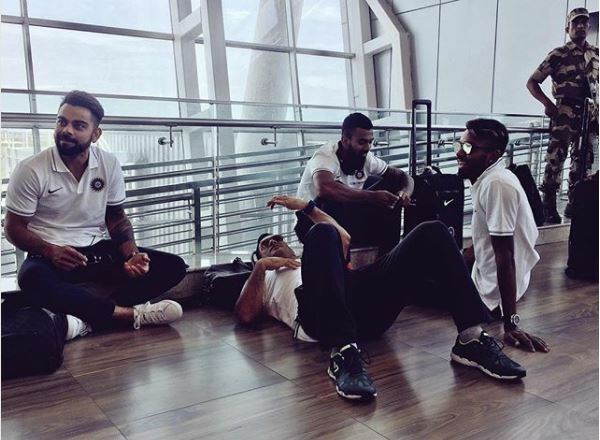 Recently, Dhoni took to Instagram to post the picture clicked at the Chennai airport while they were waiting for their flight. On Tuesday, CSK registered a dominating win of 7 wickets against the Kolkata Knight Riders (KKR) in the 23rd IPL 2019 match to claim the top spot on the points table. 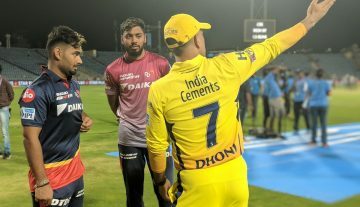 After the win, Dhoni and his men boarded an early morning flight to Jaipur on Wednesday, where they will take on Rajasthan Royals in their seventh IPL 2019 match on Thursday. In the KKR game, Dhoni asked the visitors to bowl first after winning the toss MS Dhoni won the toss and opted to bowl as the hosts restricted KKR to 108/9 despite an unbeaten half-century by Andre Russell. The under-rated Deepak Chahar, who returned with impressive figures of three for 20 from four overs, ran through the KKR top-order with early strikes, including that of the big-hitting Chris Lynn as the visitors struggled to 29 for four in the powerplay. Harbhajan Singh (2/15), Imran Tahir (2/21) and Ravindra Jadeja (1/17) put the brakes on the KKR batting with a disciplined effort. Needing 109 to win, Faf du Plessis top-scored for CSK with 43 runs while Kedar Jadhav stood unbeaten on eight as the home team chased down the target with 16 balls to spare. KKR suffered their second loss in six matches and will be hoping that Tuesday’s performance was just a rare failure otherwise a promising campaign so far.